I own a BlackBerry Q10. It's an amazing smartphone. I've owned two Blackberries in the past. The good old Curve 8520 and a decent, but not that great, Torch 9800. On the way I got my hands on Samsung Galaxy Nexus, probably driven to Android by curiosity, but got back to BlackBerry anyway. It's probably because of the straight, candy-less user experience, amazing QWERTY keyboard, connectivity, BBM and, now, irreplaceable, BlackBerry Hub. Since any BlackBerry with OS10 runs QNX, a Unix-like real-time operating system, I thought it might be worthwhile trying to get under the hood. What triggered my search for way to access the system from the back-door, was the need to extract data from my Google Authenticator app and idea to have a look under the hood. While the process is easy on Android systems, I couldn't find a way to access my Blackberry in any of the described ways (duh! it's a different system!). 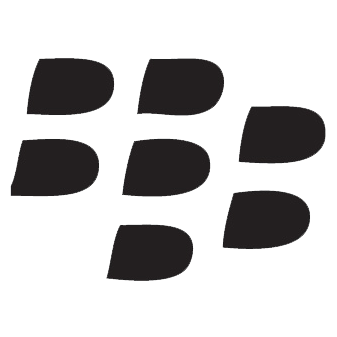 What is more, BlackBerry devices cannot be rooted as such, or at least, I couldn't have found a way to do so. Thankfully, BlackBerry has s Native SDK tools - Momentics IDE, available as a free download on RIM's website, that make it easier to access QNX layer. 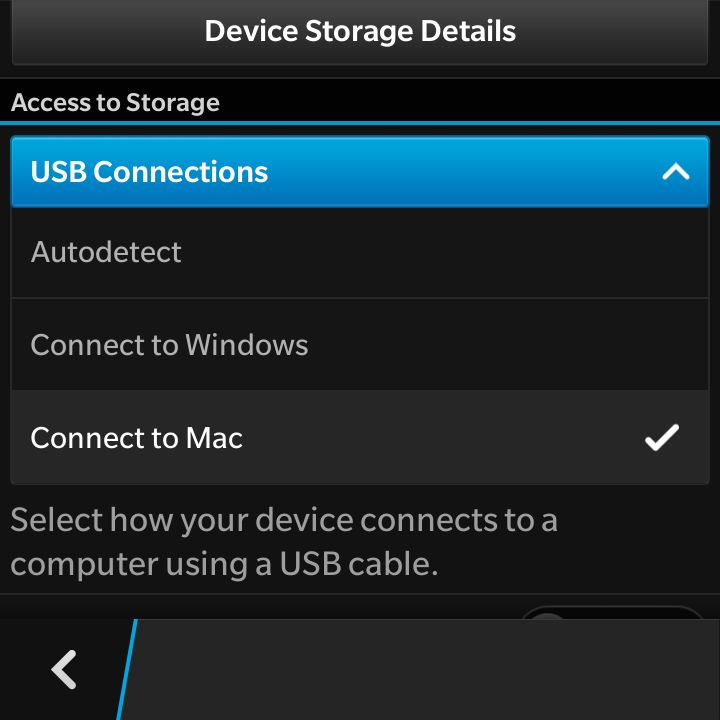 After this step, I plugged USB, and BlackBerry device was recognised by Linux perfectly. 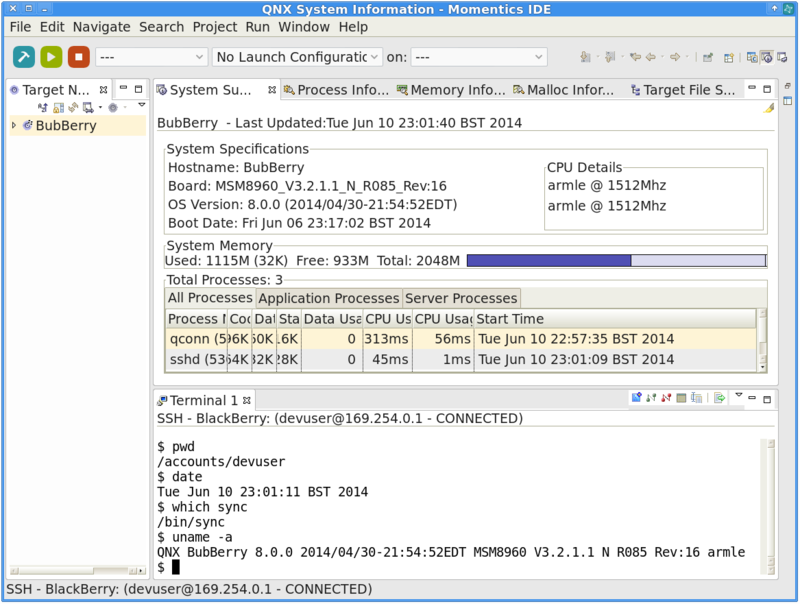 The Momentics IDE gives the ability to connect to Blackberry OS 10 using SSH, using a built in terminal. I set up connection with the device with Development Mode password. Now, I could either use the built-in terminal with "Launch SSH Session" option or move to Linux terminal.The IDE GUI lets you have it all in one place; it also provides information on running processes, memory, etc. As I'm more of a console type of user, I've decided to use terminal anyway. Your identification has been saved in /home/bubbl/.rim/bbt_id_rsa. Your public key has been saved in /home/bubbl/.rim/bbt_id_rsa. This application must remain running in order to use debug tools. Exiting the application will terminate this connection. drwxr-xr-x   9 root      nto            4096 Apr 13  2013 .
drwxr-xr-x   9 root      nto            4096 Apr 13  2013 ..
Now I can do more exploring of the QNX system. For now, not much can be done, as the <strong>devuser</strong> account isn't allowed to do much - this is a development account used for testing purposes. I cannot find a way to SSH into BlackBerry using other accounts, such as root or default 1000 user. Error: Connection refused: Development mode is not enabled on the device. And, without root access there is little chance of implementing openssh server on the device. So much for extracting any data from applications, or doing much with the QNX terminal. I guess it's because QNX is a commercial, not open-source, Unix platform. For the time being I can run vi on my device though.